I sometimes wonder what kind of stuff teenagers will screen in a few years unless they see something different then their video game replicas again and again. 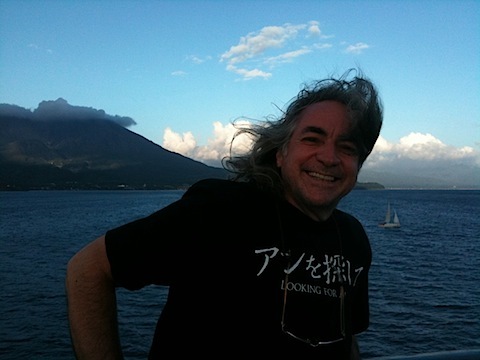 I’m writing the final version, or just about, of a new script that I would like to shoot in Japan sometimes in 2011. Right now, it’s called “Tender Rebels”, but I might go back to the original title which was “Autumn Breeze”. It seems that “Autumn Breeze” translates better in Japanese than “Tender Rebels”. Personally, I prefer “Tender Rebels”, but I will have to take a few other things into consideration before making it official. I really like the simple story, the color and texture of the world that I hope to create. The movie talks about loneliness, about the limits that are being imposed on every individual, young or old, preventing them most of the time from achieving what they would love to do. It’s a movie about two persons with practically nothing in common who nevertheless fall in love and decide to stand for what they truly believe in. It does take one by surprise. You are there, having fun, enjoying life, struggling to make things happen, working like mad but in a good spirit when you suddenly discover that people see you as an old guy, treat you like one. It pisses you off at first, but comes a time when you have to look at yourself in the mirror and admit that you no longer look like a young guy, even though you feel better and stronger than when you actually were thirty. I guess everything is in the perception. That’s probably why some people dye their hair, have some lifting made on their faces or what have you. It’s true that it doesn’t feel good to be perceived or treated like an old guy. I’m not quite there yet, but I see that the time will come sooner or later. Right now, my behavior is still a bit too wild for people to know how to deal with my type. It does give me a little break. This is probably why it took me a little longer to realize and admit that I had become sixty. Of course, death brings you closer to that reality. I already lost my two best childhood friends and was confronted despite of myself with that inevitable reality. The first one died of skin cancer at thirty-nine. He had been angry at the whole world for most of his life and was not really surprised when he came to face death. I was the one who was knocked down. His death completely changed my life and my way to go about it. The second friend died a month before my fifty ninth birthday. He didn’t hate the world, but could never deal with the idealized perception that people had of him. He had nothing to do with the man everybody saw in him and it made him unhappy for most of his life. Smoking three packs of cigarets per day among other things was his way to react. He knew too well what was to come. I don’t know why I write all this. Perhaps it’s to say that I don’t take it. I want to live long. Very long. My dad is a healthy 87 years old and my mom is a sharp and vigorous 85 years old, which gives me the hope to go to at least 90. Since we are apparently gaining about ten years per generation these days, I can hope to live to a minimum of 100. 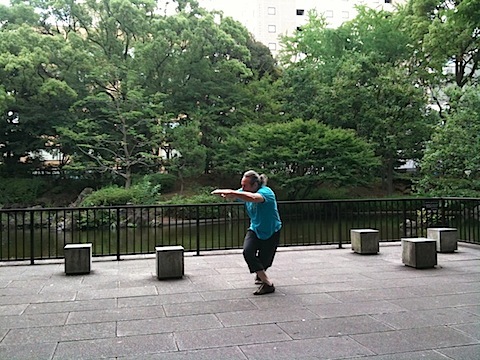 And with my daily Qigong training for the last twelve years, I can hopefully add another ten to twenty years, which would begin to make a bit of sense as far as I’m concerned.